Update your little girl's wardrobe with the latest fashion trends with this finely curated shorts. 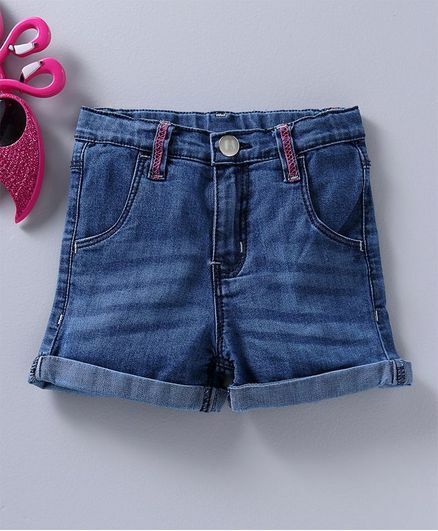 Trendy denim shorts with basic wash lends these shorts a stylish look and ensures comfort at the same time. Styling Tip: Pair the shorts with Tee and sandals to complete the look.